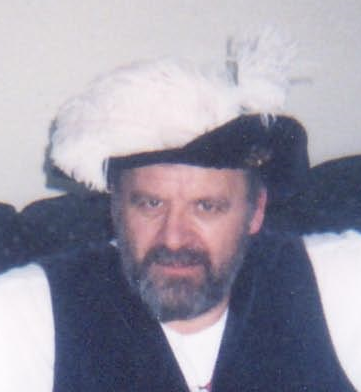 Stanley Merchant is a quiet mortician – and my dad was a lively French teacher. So they’re not exactly the same dude. But, without question, Stanley was inspired by my dad, whose middle name was Stanley. One of the best compliments I’ve had about the book came from my sister Sarah, who, after reading a scene featuring Stanley, called me and said it felt like she now had a new memory of my dad (who passed away nearly a decade ago). Stanley’s big, burly and a great hugger – just like my dad was. 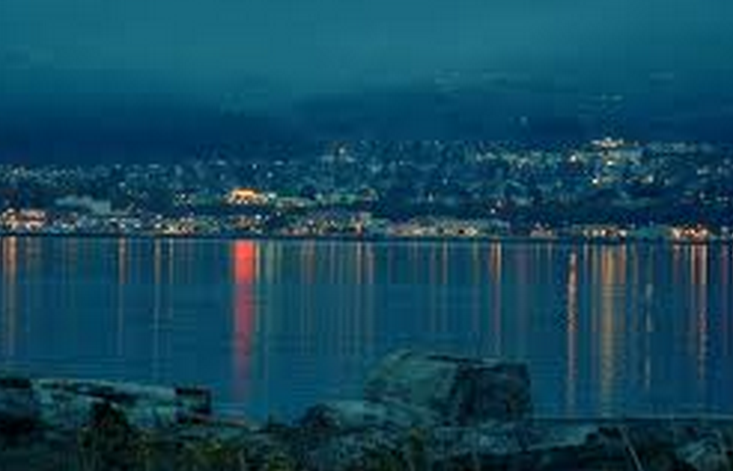 I live at the southern tip of Vancouver Island, and, while writing the first draft of The Unseemly Education of Anne Merchant, I lived in a house with a view clear across the water to Port Angeles. This is important to me because, in truth, reading Twilight opened my eyes to the possibility of writing something that was purely fun and not too serious. So seeing Port Angeles from my window during those late night and early morning writing sessions was like a daily reminder to have fun with it! In university, I took creative writing classes – which were my favorite. I mean, it hardly feels like you’re going to school when the assignment is either to read a story or write one! 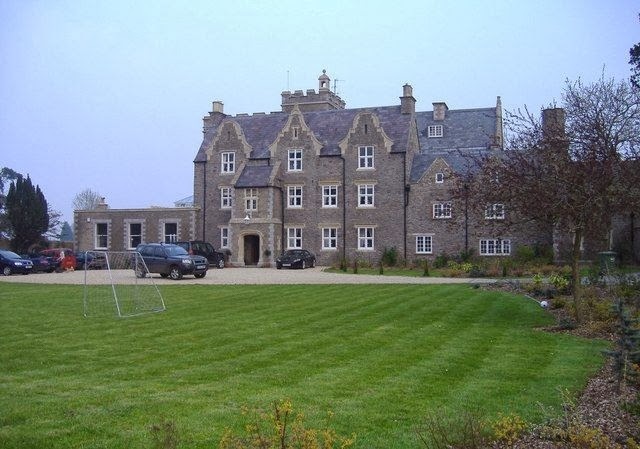 In my fourth year, I wrote a story called “Prep School Boys Last Chance to Dance”, about the first-world problems that a group of prep school boys face the night before their graduation. The school was called Compton Christy. It never really left my mind. When my agent and I were editing the book, he noted that Compton is a particularly bad part of LA; given that Anne comes from California, we thought the presence of Compton in the school’s name might act as a red herring for readers, so I modified it. 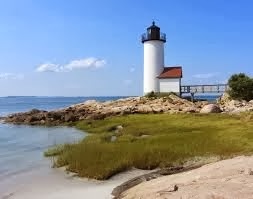 Eventually, when the story transformed to a point where it was clear the school would have to be somewhere more isolated than Cape Ann, I ‘relocated’ everything to the fictional Wormwood Island, Maine. 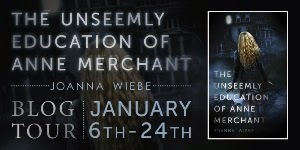 Joanna Wiebe is the author of The Unseemly Education of Anne Merchant, now available in bookstores and online. Amy Plum called it “deliciously dark”, and VOYA said it’s great for fans of Anna Dressed in Blood. 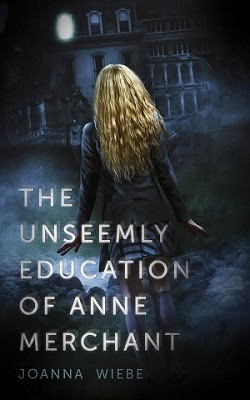 15 finished copies of The Unseemly Education of Anne Merchant up for grabs. I love the cover and synopsis. I love the sound of this book! And how cool that the author based Ann's dad on her own dad! What a cool guest post, too, I really enjoyed reading it :) Thanks so much for sharing!
" WOW! Bookworm Central book fairs must be WAY different than ours. The books that we get at our Bookworm Central Book fair quite varied & we had many positive comments from both faculty & parents. I can't speak for your school, but as far as our school is concerned, Bookworm Central prices are very comparable to other book fair companies. Bookworm Central has an unmatched business model in the book fair industry." " WOW! Bookworm Central book fairs must be WAY different than ours. The books that we get at our Bookworm Central Book fair quite varied & we had many positive comments from both faculty & parents. I can't speak for your school, but as far as our school is concerned, Bookworm Central prices are very comparable to other book fair companies. Bookworm Central has an unmatched business model in the book fair industry."